At Charter Global, we’ve worked on a wide range of varied projects to ensure physical security for healthcare facilities. Read our top picks here. Domestic Roller Shutters – Are They Right for my Property? Domestic roller shutters are a option to consider when looking at home security. Discover the benefits of home shutters, as well as a case study, here. Security shutters for car parks are a popular request and a good means for security, as well as ensuring car parks are suitably ventilated. Here at Obexion, we work closely with risk managers to provide security shutters for water industry infrastructure. Here’s what to look out for. 85 Integr8 Structural Built-In Security Shutters were deployed as part of a bespoke lintel security shutters solution for this new build primary school. Charter Global protect the iconic British Airways i-360 Tower with 67 Integr8 Non-Structural Shutters. 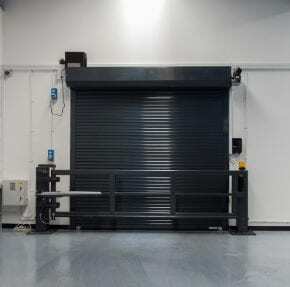 The bespoke shutters were seamlessly integrated into the fabric of the building. Concealed Shopfront Shutters are the perfect security solution in an application where the visual impact of the shutters has to be minimal when raised. A luxurious refurbishment of this extensive property included a client requirement to dramatically increase the security of the property. A luxurious new build property in London’s prestigious Avenue Road has specified the Equilux Security shutters for an effective concealed physical security solution. Equilux Security shutters, designed specifically for luxury properties worldwide are being exported to Khartoum, Sudan, for integrating into a large new build property for an African client. 59 Integr8 Structural Built-In Shutters formed the back-bone of Charter Global’s intelligent physical security solution for this multi-use project. Equilux Shutters have experience in fitting London security shutters on luxury properties, having recently completed a project in Notting Hill. 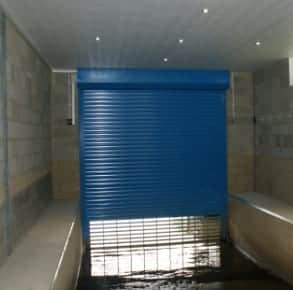 Equilux Shutters recently completed an interesting project, fitting concealed roller shutters on a boathouse on the River Thames. Equilux Shutters have been working on a project installing brick slip roller shutter lintels at a property in Richmond-upon-Thames.